LOCATION! LOCATION! LOCATION!! The three most important things in real estate! 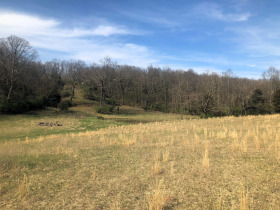 This tract of land has been in the same family over 100 years. They have decided to sell and are creating a fantastic opportunity for a new owner. 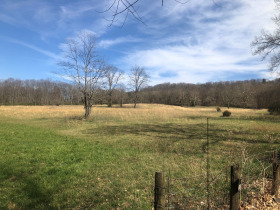 Located behind Cheddars and bordering Shadow Valley subdivision, these two tracts are just waiting to be developed. 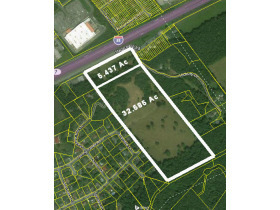 The commercial tract (B-3) has almost 800 feet of frontage on Stage Coach Road just past Ernie Sullins Clothing Store. 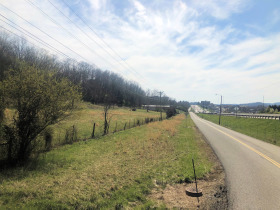 The tract contains 5.437 and is perfect for a business needing exposure from Interstate 81. The tract lays very well keeping development costs to a minimum. 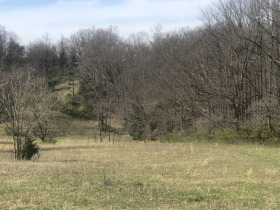 The residential tract has access through Shadow Valley subdivision and is located at the end of Spring Valley Road. 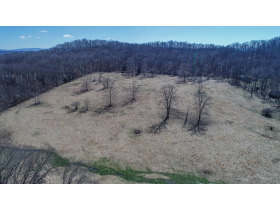 Zoned R-1 and containing 32.585 acres, this may be one of the largest undeveloped residential tracts inside the City of Bristol, Virginia. With minimal development costs, this level to rolling property could easily be developed into a gorgeous residential neighborhood. If you are a builder or a developer, you WILL NOT want to miss this auction!! Property like this is becoming harder and harder to find. We have a new boundary survey. The plats are available on site. 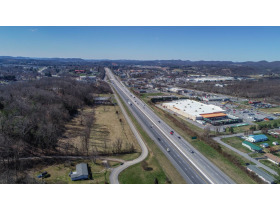 Visit our website for an aerial view of the property and the surrounding Exit 7 area. This is a ONCE IN A LIFETIME opportunity! Do not miss out! 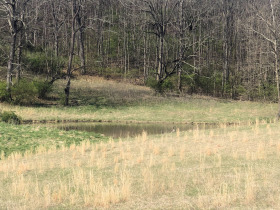 Drive out today and check out this unbelievable 38 acre tract. Again, visit our website or call our office for more details. See you at the sale. 10% down day of sale, balance due at closing in approximately 30 days. Thoroughly read the auction information document and familiarize yourself with the properties offered and the auction terms and conditions. If you will require financing, please see a lender for pre-qualification. If you have questions about the terms, conditions or purchase agreement, contact our office and speak with one of the auction staff. Plan to inspect or drive-by each property in which you are interested. Establish a range of value for the property and bid within your limits. We do not recommend that you bid on a property that you have not seen. There is not an inspection period after the auction. The deposit listed in the terms is due upon being declared the winning bidder. The deposit is non-refundable. This transaction is not contingent on the buyer obtaining financing or upon any other event except as specifically referred to in these terms and conditions. All information about the property has been provided by the seller or public records. All bidders must verify all information to their own satisfaction prior to bidding. Immediately upon completion of the auction, winning bidders will be required to execute an Auction Contract. Please be prepared to close the transaction within 30 days. Buying real estate at auction is simple and easy. Good luck in your bidding!  •	This property is being sold subject to the confirmation of the seller. •	The seller will furnish a warranty deed to the property, free and clear of any liens. A title search will not be furnished. That will be up to the purchaser if one is desired. The auctioneer highly recommends that the seller obtain a title search. •	The real estate is being sold “as is”. There are no warranties either written or implied. Please rely on your inspections of all properties. We do not recommend bidding on property you have not seen and thoroughly inspected. •	If online bidder is the high bidder the Auction Sales contract will be sent by e-mail from Ron Ramsey & Associates to the successful bidder who must execute and email back to Ron Ramsey & Associates immediately upon closure of the auction. Successful bidders not executing and returning their contract and earnest money deposit within 24 hours of receipt will be considered in default and subject to an Administrative Fee (as defined below). The entirety of the remaining balance is due at closing. Purchaser shall be responsible for all wire transfer fees and closing fees as set out in Auction Sales Contract. •	The information supplied is based on material furnished to Ron Ramsey & Associates by the sellers and other public sources. We believe this information to be true and accurate but buyers should do independent verification. •	Terms: 10% of final bid price required down the day of the sale at the close of auction. The earnest money is payable in the form of cash, cashier’s check, personal or company check, or wire transfer. Earnest Money Deposit Is Non-Refundable. Remaining balance is due within 30 days unless otherwise specified. •	Administrative Fee: In the event a winning bidder fails to submit the signed Auction Sales Contract and deposit earnest money as provided in the pre-stipulated Auction Terms, the winning bidder will be charged an administrative fee of $2,500 on the credit card provided at auction registration. Additional default remedies are reserved by Ron Ramsey & Associates and the Seller. All Administrative Fees are non-refundable. •	Bid early and Bid often!! 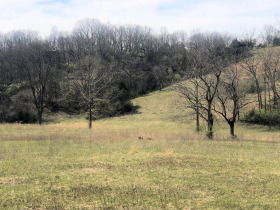 Ron Ramsey & Associates specializes in real estate (farms, homes, and vacant land), personal property, industrial and commercial auctions. 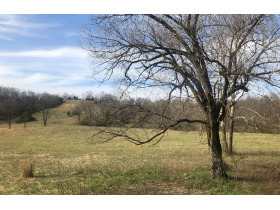 From a pastoral country farm to a pristine antique, you will find it all at a Ron Ramsey & Associates auction. Licensed in Tennessee and Virginia, our expert staff have a century of combined auction experience to bring the best bids and the most profits for our clients!